The U.S. Department of Justice has asked the state to address whether its sancutary laws violate new compliance requirements of grants that provide millions to Oregon law enforcement. 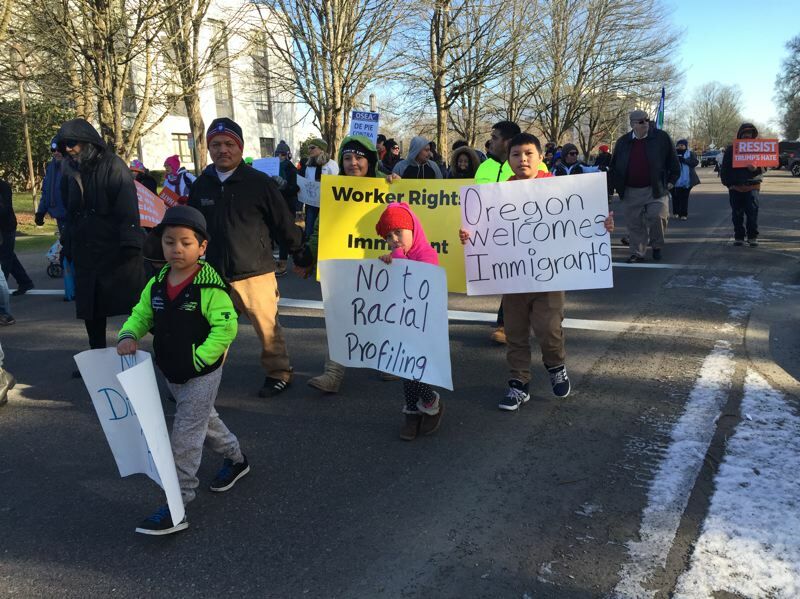 SALEM — The U.S. Department of Justice has threatened to end millions of dollars in criminal justice grant funding to Oregon over the state's sanctuary policies that prohibit the use of state and local resources to enforce federal immigration law. In a letter Wednesday, Acting Assistant Attorney General Alan Hanson asked the Oregon Criminal Justice Commission to address whether Oregon's policies violate federal statute. The Edward Byrne Memorial Justice Assistance grants are a primary source of federal funding for state and local law enforcement jurisdictions, including police and sheriff's departments. Oregon receives about $4 million of the grant money every two years, said Bryan Hockaday, a press secretary in Oregon Gov. Kate Brown's office. "Without this funding, public safety coordination and the success of speciality courts will be significantly impacted," Hockaday said. New requirements of the grants bar local governments from enacting laws that restrict communication with federal authorities about individuals' citizenship status. Section 1373," Hanson wrote. "This letter does not constitute final agency action and nothing in this letter creates any right or benefit enforceable at law against the United States." Gov. Brown on Wednesday defended the state's sanctuary policies. "Oregon's laws are in place to uphold the civil rights of all Oregonians, and the federal government cannot, under the U.S. Constitution, force state law enforcement officers to implement the policies of this administration," Brown said in a statement. "These threats by the White House administration to revoke funding to states and to local law enforcement agencies have already been ruled unconstitutional in two federal courts." Revisions to the grant's compliance measures require recipients to communicate with Immigration and Customs Enforcement, allow agents to meet with individuals suspected of being in the country without proper documentation, and to give 48 hours' notice of any release. Hanson requested that Michael Schmidt, executive director of the Oregon Criminal Justice Commission, respond to DOJ's concerns by Dec. 8.